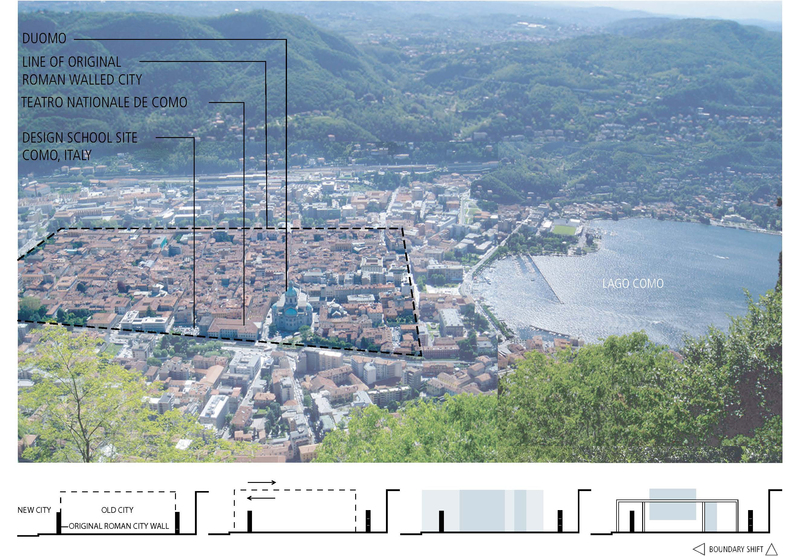 The site for the Como Design School lies at the Western extremity of the original Roman walled city. The project aims to straddle the line between old and new. The contemporary structure treads lightly on the stone foundation of the existing and shifts of the original grid to create the interstitial space through which circulation can flow between both worlds – old and new. The wall acts as the datum along which things occur; the ruins are also a sort of datum for history, time and memory. The entire existing construction is homogeneous – stone; it seems to rise up from the ground and reach up as if waiting for something to grasp and to connect to. In essence, the ruins are the foundation, both literally and metaphorically for whatever future construction will develop on the site. 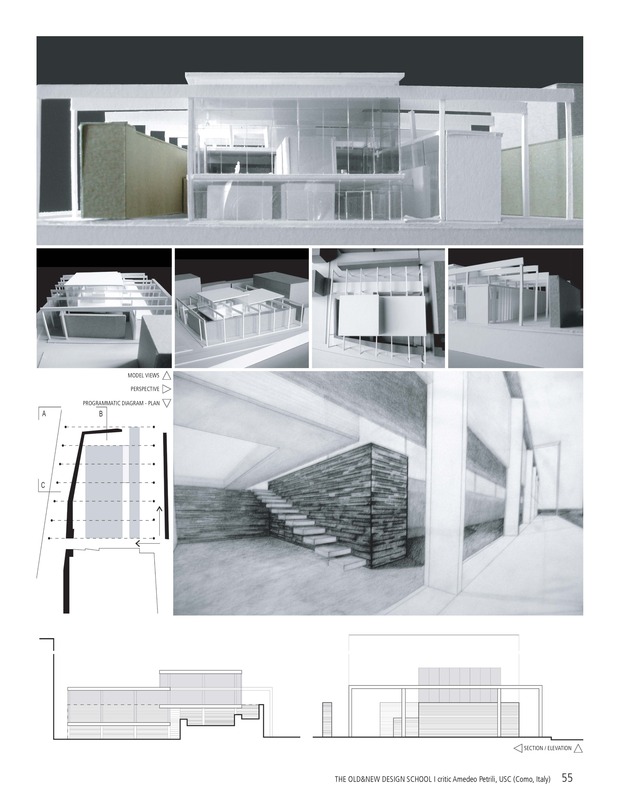 The new project, in materiality and organization complements the old by adding yet another layer to the city.